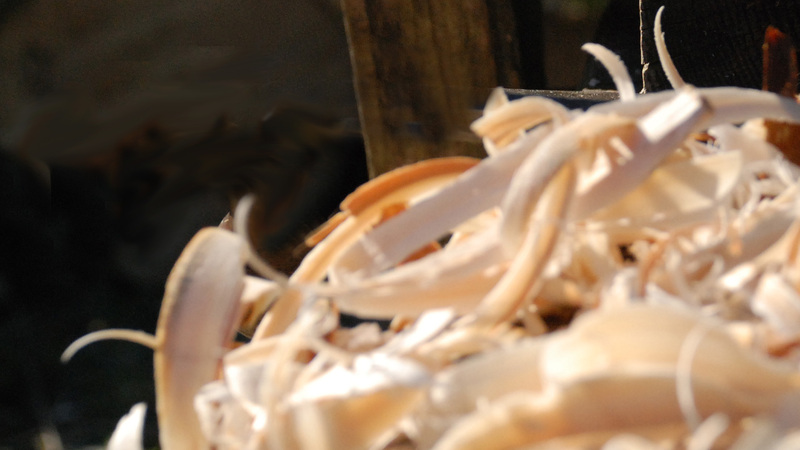 Spend a day in nature discovering the ancient art of spoon carving. 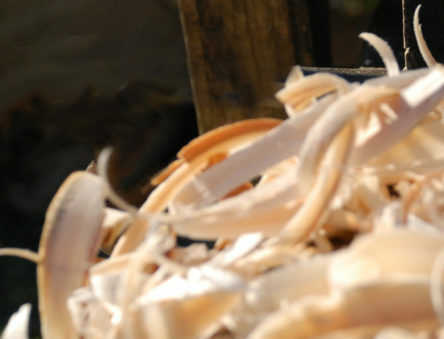 This course is a great way to get started with woodworking, covering choosing materials, using tools safely, carving techniques, and drying and finishing. 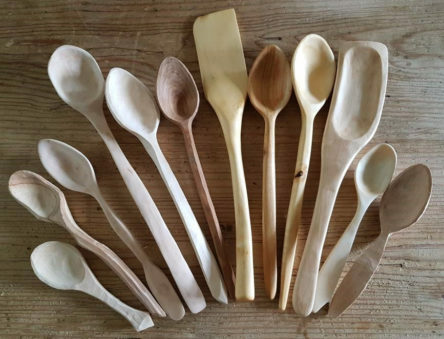 You’ll leave with the skills and knowledge needed to start carving, and with your own home-made spoon! This course covers everything you need to know and do to create a stylish wooden spoon to take away with you. It will give you the skills and confidence to start carving at home – a great way to unwind and to create your own unique, low impact gifts, ornaments and functional items. 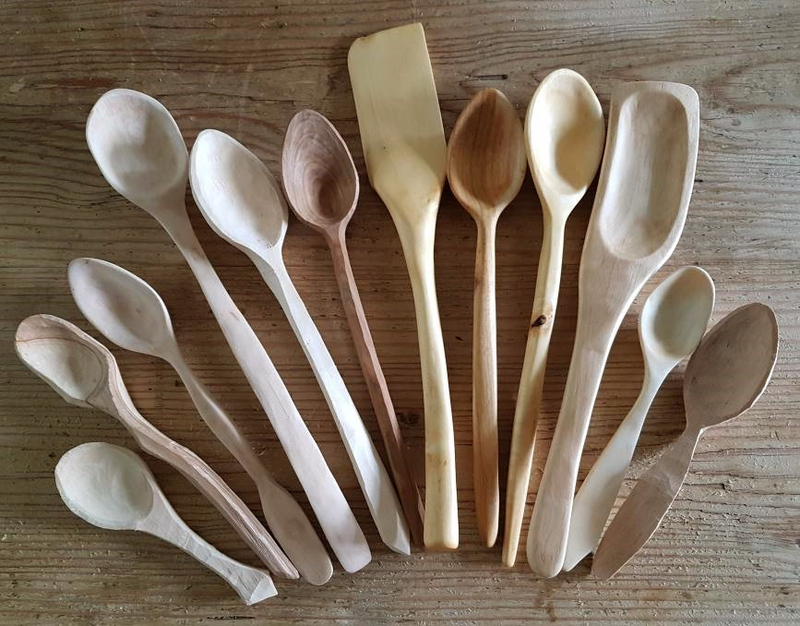 This course is for anyone who would like to be able to carve a wooden spoon from start to finish. Ideal for complete beginners, it’s also useful for anyone who has tried their hand at spoon carving and is keen to improve their technique. The course is more than learning to carve a spoon, it’s a chance to reconnect with the outdoors and switch off from all of life’s little stresses. Discussions about, drying and finishes. If time permits, you can get started on another spoon or even try a spatula. This practical workshop is based outside but undercover. 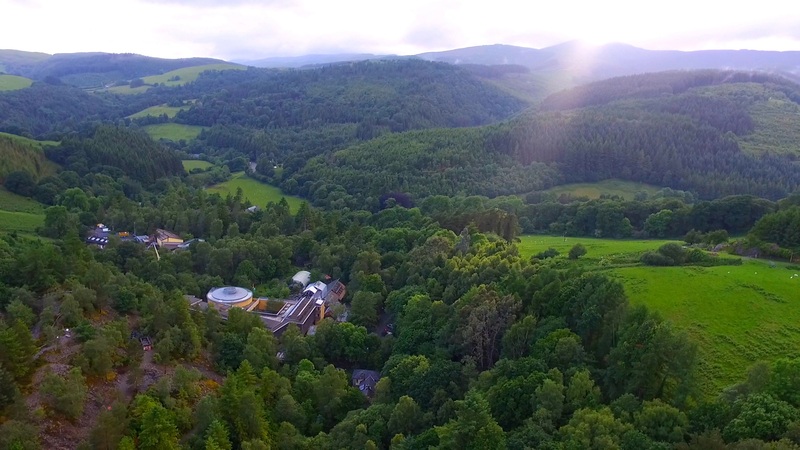 All tools and materials are provided, along with a delicious vegetarian lunch from our on-site café. Your tutor for the day is Neil Hopkins of Forge Ways. 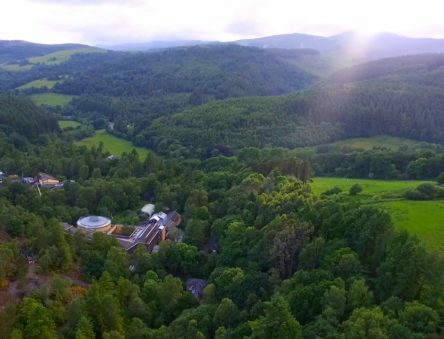 Neil moved to the Dyfi Valley in 2007 to work as a Renewable Engineering Project Manager and to live a more sustainable way of life on a smallholding in the foothills of the Cambrian Mountains. With a passion for traditional skills and low impact ways of living, Neil has a wealth of experience instructing in the outdoors and has qualifications and experience in arboriculture, green wood working and bushcraft.